Fiona has a particular interest in designed landscapes such as Country Estates. 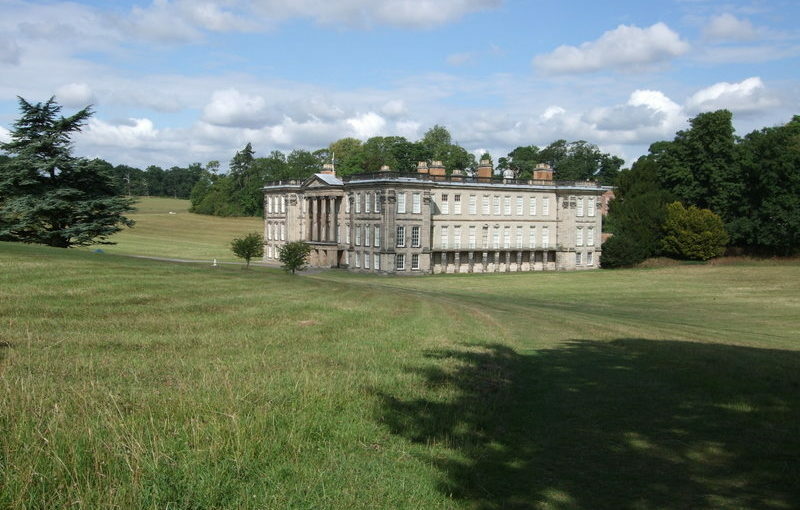 She has undertaken research into the development of Estate landscapes, including how they adopted and adapted the technologies developed as part of the Industrial Revolution. Her original research into the utilization of industrial technology in the gardens of Country Estates has been published in a book entitled ”Country House Technology“ (Ed. P.S. Barnwell and M. Palmer, 2012). 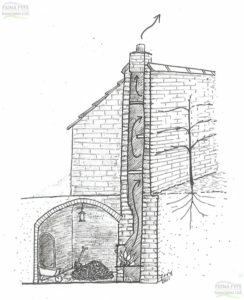 Interpretative sketch by Fiona Fyfe showing an Eighteenth Century “hot wall” and underground stokehole. The garden buildings at Calke Abbey contain an exceptional range of heating systems, dating from the 1770s to the 1930s, including a rare `cockle stove’, which was originally developed by William Strutt for use in his Derwent Valley cotton mills. Fiona’s work has won two academic prizes and she has also written an interpretation plan for the National Trust, with recommendations for interpreting these historic heating systems, enabling the public to understand and engage with them.